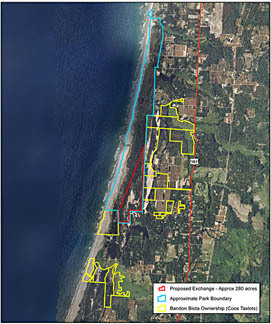 In July (“South Coast Natives?”) we reported on a proposed land swap plus money deal proposed to the Oregon Recreation and Parks Department (ORPD) by Bandon golf course developer Mike Keiser (dba Bandon Biota). This revises their 2010 proposal which was rejected because it did not meet the ORPD criterion of “overwhelming public benefit”. 111 acres of property next to the Natural Area. 97 acres on Coquille Spit north of Bandon. As much as $2.95 million in cash, part of which helps match a grant to acquire 10 acres of Whale Cove in Lincoln County, and part of it would purchase 6,100 acres of the Grouse Mountain property in Grant County for use as a future state park. 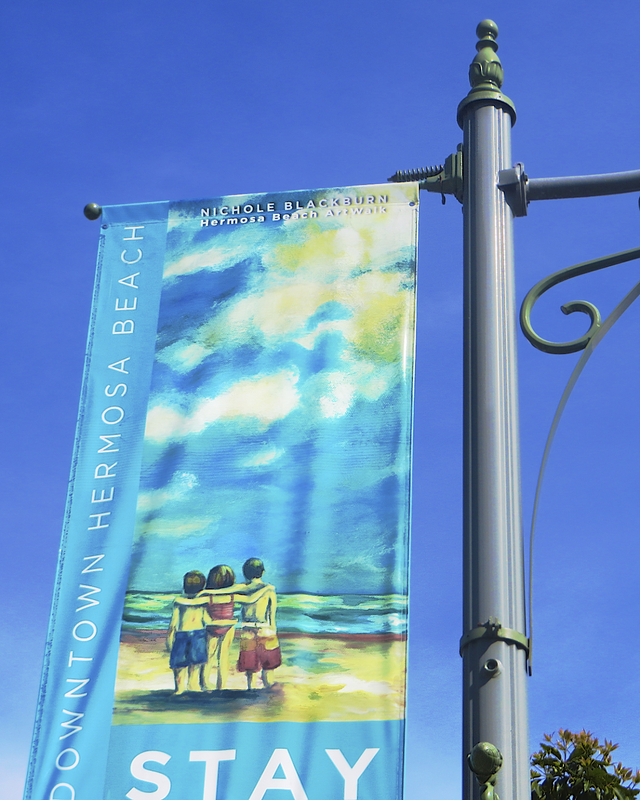 Public meetings were held in Bandon and Mt. Vernon in mid-August, and 35 written comments have been posted online. Of those written comments, 12 were in favor of the deal (mostly from Bandon), 22 against and one suggested a different approach entirely. The 22 Nos were a surprising coalition. There were parkland preservationists (mostly from the south coast), who lamented the loss of unique public coastal habitat, and questioned both the swap’s legality based on Department of Interior stipulations on the land which was given to the state in the late 60s, and the precedent this swap would set for the whole Oregon park system. They were joined by a vocal group of Grant County (site of Grouse Mountain) ranchers, farmers and elected officials who don’t want any more public land in their county, period. Nor were they pleased to have no opportunity for a public meeting or discussion in their neck of the woods. 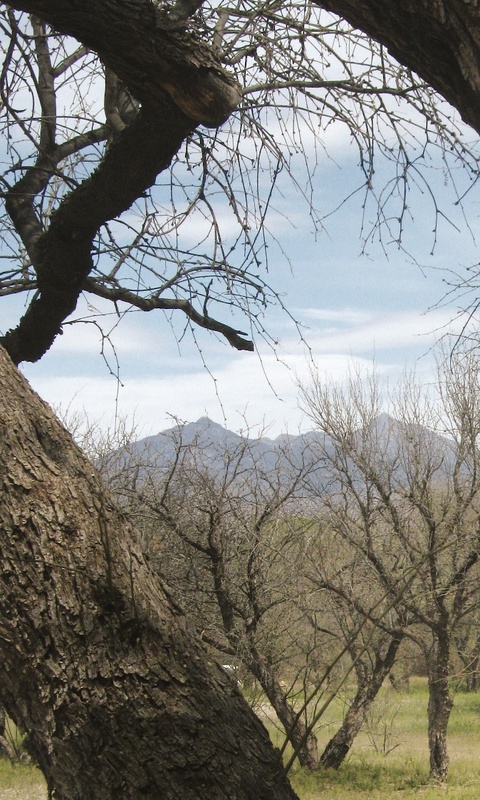 The earliest State Parks Commissioners could decide is November. For more info and to read all the comments see: http://www.oregon.gov/oprd/pages/commission-bandon.aspx. Although quite wild in appearance, if you look closely at the “native” vegetation here along the Southern Oregon coast you’ll be reading a graphic tale of human impact on our coastal ecosystem. From the steep beach foredunes, to neighborhood yards and beyond, highly invasive introduced species have come to symbolize our local plant life. At the shoreline, European beach grass forms stunningly beautiful waves of green directly at the beach’s edge. 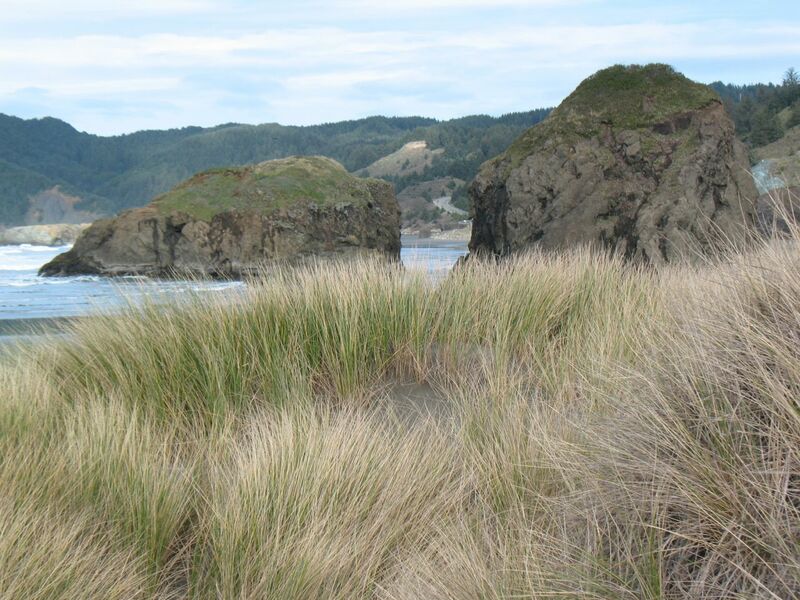 But beach grass, a deeply rhizomed dune stabilizer, intentionally planted in the 30s to foster more agricultural land inland, has ended up forming the steep foredunes which have come to characterize the Southern Oregon coast today. Tangles of Armenian (Himalayan) blackberry first noted in Oregon in 1922 line our roads and cover our hillsides and are considered by the state to be the most noxious and invasive weed in Western Oregon. There is no approved biological agent to control it. In our yard, we cut it back or periodically “weed it out” by hand but it quickly returns from its nightmarishly long and tenacious roots. 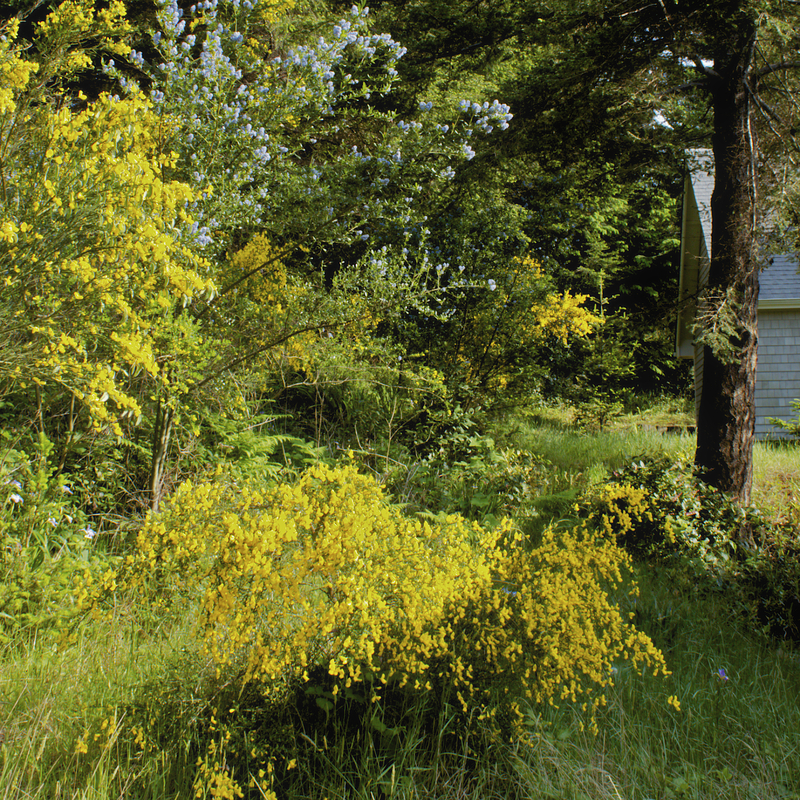 Then there is Scotch broom, beautiful but invasive, which was introduced as a garden ornamental by early European settlers to the Pacific Coast. What to do? Dig it up, cut it back. Watch for its recurrence. Repeat. Perhaps at the top of the most noxious list is broom’s cousin gorse, a spiny yellow-flowered shrub which forms almost impenetrable barriers up to 15 feet high. 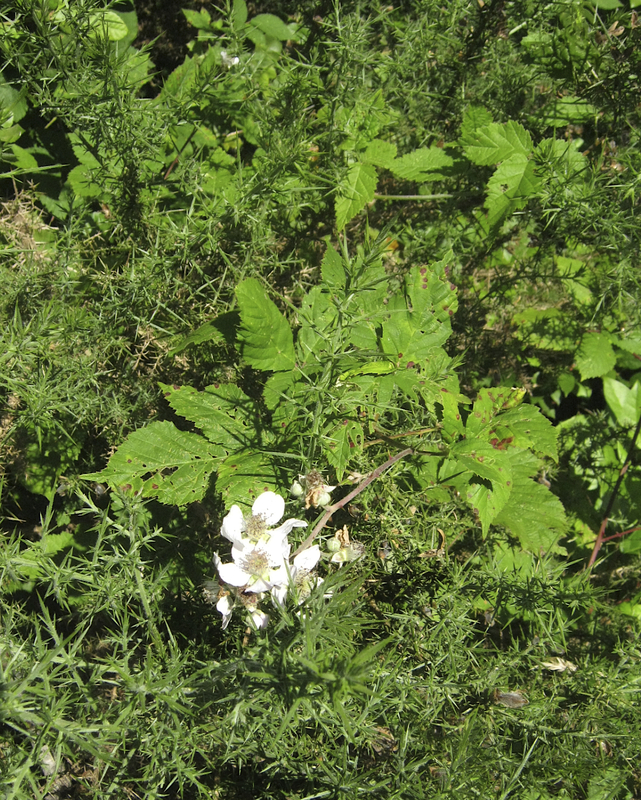 This weed is particularly noteworthy around nearby Bandon, and is said to have been introduced by founder Lord George Bennett who brought it over from the old country Eire. Not only did he gift the town gorse, he also named Bandon after his home town in County Cork. You can read more about gorse’s historical impact on Bandon here: http://www.offbeatoregon.com/H1011d-bandon-founder-favorite-plant-destroyed-his-town.html. Of course these hardy species greatly outcompete indigenous flora, many of which have become extremely rare. And getting rid of the pesky invaders has proved extremely difficult, labor intensive and costly. 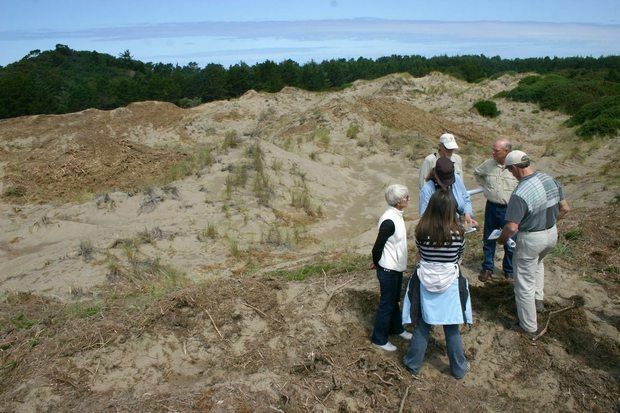 In fact so costly that just this week the Oregon State Parks and Recreation Commission has begun to consider a proposal to trade land in the Bandon State Natural Area to a golf development company, Bandon Biota, in exchange for $300,000 for gorse removal in nearby parks as well as money to purchase other land for future park development. A proposal worth keeping tabs on.